Wow it has been a long time. I cannot begin to tell you all how many times I started posts and never got around to finishing them. I am back to blogging now and committed to bringing you fun things to inspire! 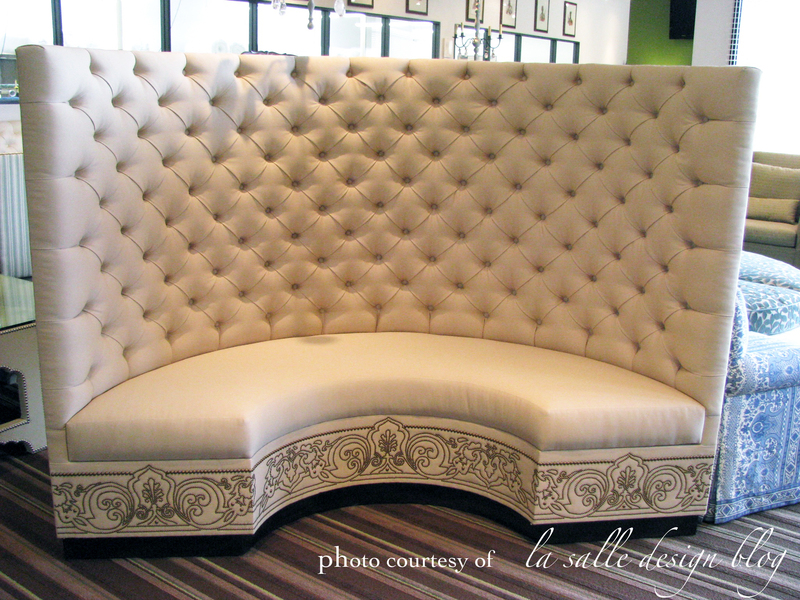 I was at our upholsterer’s showroom today and this piece literally stopped me in my tracks. Nope…. Ladies and gents, that is no banding… Its not a fabric either. 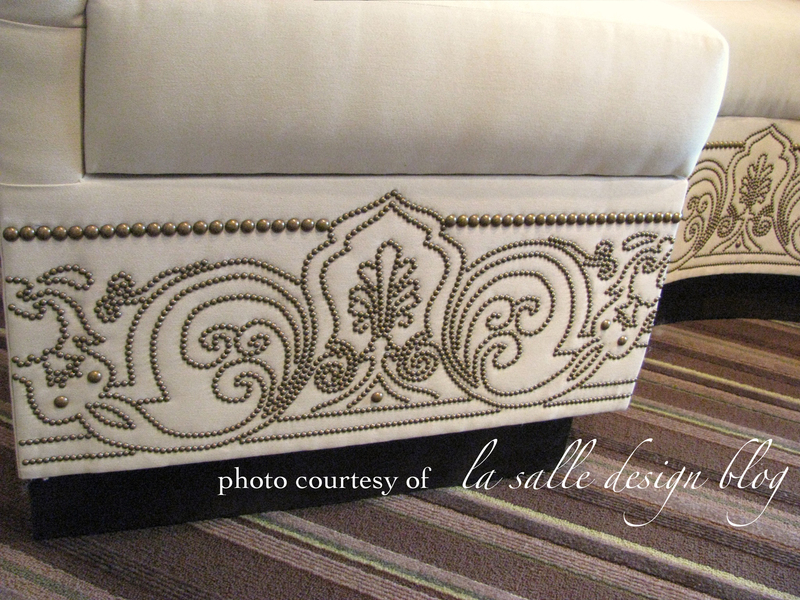 The design you see is made of nailheads. Incredible, fabulous, stunning… This is one of the many reasons that I love my job. I get to see beautiful things like this any given day of the week. Coming Soon: I have a lot of new inspiration to show you and some updates on things at my home. Hope that you are all having a fantastic summer!